I'm building my own form and would like to use a different font. 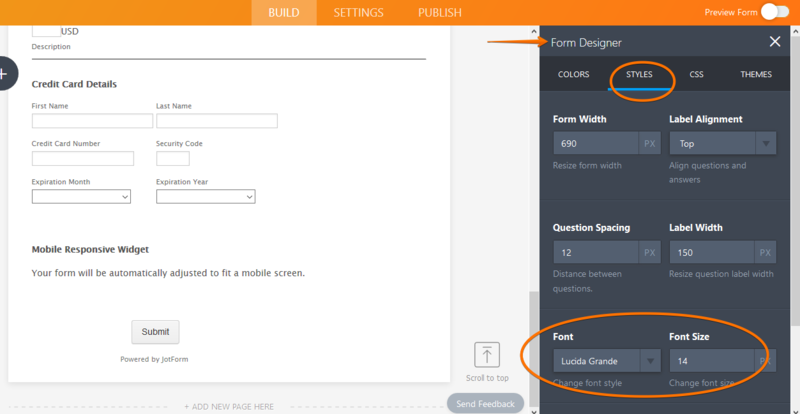 I would like a 'mobile phone' element so that there is only one box for my customers to complete. I would like some of my fields to be mandatory. You can change the font-type used in the Advance Designer >>> Styles option.